This version of Q-Step is much smoother than some of the older versions, and I'm not saying they were bad at all. I didn't once see Q-Step's famous French error messages, and although sometimes the speed was less than I'd like, on a decent 486 or newer, it'd be useable. Q-Step includes 3 games (Pacman, same, and a virtual pet) which all seemed to work as expected. On top of that Q-Step has a number of internet based entertainment applications and a music making program. 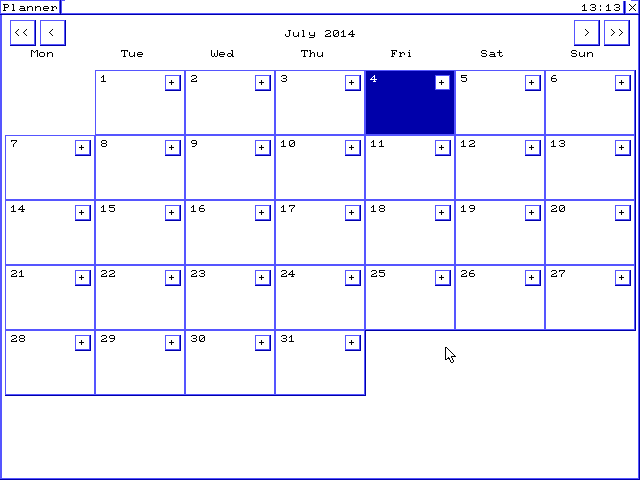 Q-Step does include a very nice icon editor, a text viewer, and a calendar system that integrates with the desktop. However, I was very surprised not to see a calculator. 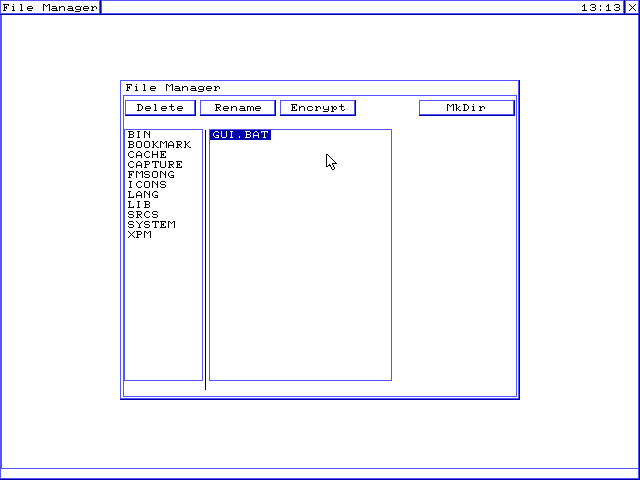 This version of Q-Step really kicked it up and includes a very nice file manager. It allows for easy directory navigation, and allows you to rename files. I couldn't however find a way to move/copy files or to open files/set associations. Q-Step includes quite a few different internet applications, including ones for file sharing, messaging, and browsing. This GUI doesn't have this feature. Q-Step's launcher is pretty great. I even has a GUI tool with file dialogs to allow you to add new shortcuts. The included customization application allows you to change all the GUI's colors and the desktop itself is very customizable. However, you are limited to one look. 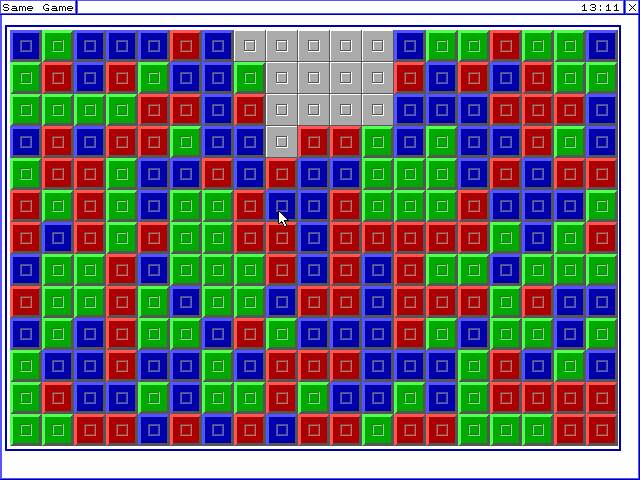 Q-Step isn't always the most polished or fastest GUI. But it makes up for that and more in terms of the number and complexity of the included applications.